Americans are just not buying houses anymore like they used to. Home-ownership has declined to a mere 64.2% in the U.S based off information from the U.S. Census Bureau. This is a drastic change from just a few years ago when this number was at 69.4% in 2004. Experts at the National Bureau of Economic Research collectively agreed that the great recession which started in December 2008 ended after 18 months in June 2009. However, our housing market has yet to recover from this blow and many potential home-buyers are still opting out of home-ownership. Taking inflation into consideration, housing prices have quadrupled in the last 60 years since the first housing census. 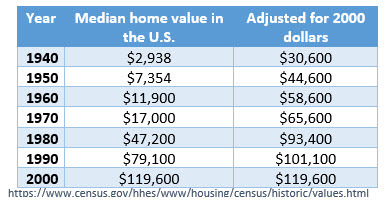 It is natural for housing prices to increase over time but these prices have not stayed consistent with inflation nor the inadequate rise in wage growth. Unfortunately, this makes it very hard for new home shoppers to be able to afford a home, especially after considering the enormous mountain of debt millennials are already carrying. Recently, the rising popularity of renting among millennials has also caused home ownership percentages to decrease rapidly. People just do not want the burden and expenses of home ownership at a young age anymore and instead prefer the freedom of renting. Renting has allowed millennials to live virtually anywhere as well as giving them the option to pack up and leave suddenly if they so choose. After considering how difficult a good paying job is for a millennial to find, it comes to no surprise that they will search for any way possible to save a few bucks and renting gives them just that. Even though renting will not help you build home equity, renting is by far the most affordable short-term way of living. Evidence provided by an analysis of data from the Census Bureau has shown that households that rent have increased from 31.2% in 2006 to 36.6% in 2016. This new trend of renting has definitely put a hamper in home-ownership totals but surveys have shown if made affordable more than half of millennials would choose home-ownership.